So many different views about so many non-essential issues. So many arguments to show superiority, to gain power and wealth. So many conflicts and wars. So much waste of money and energy. So many people abused and sacrificed. Time to leave madness behind and to show real strength. 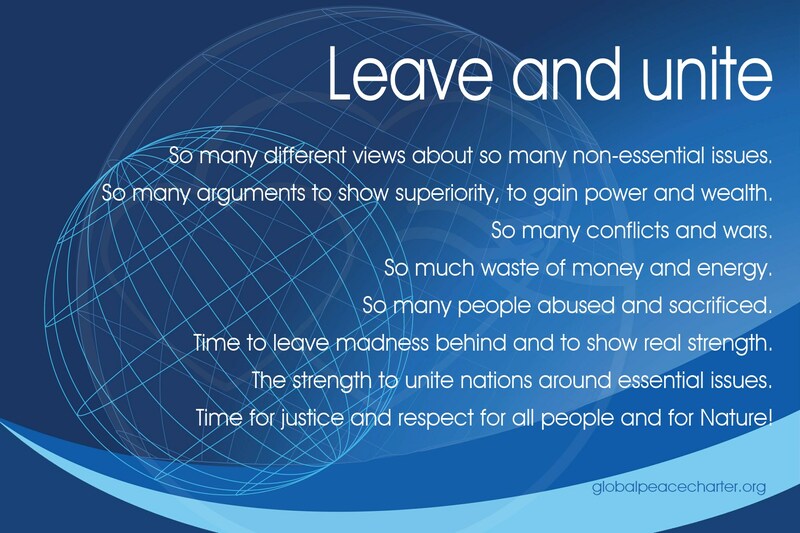 The strength to unite nations around essential issues. Time for justice and respect for all people and for Nature!